Nearly thirty nuclear powered ships have sailed the world's oceans - many still do. 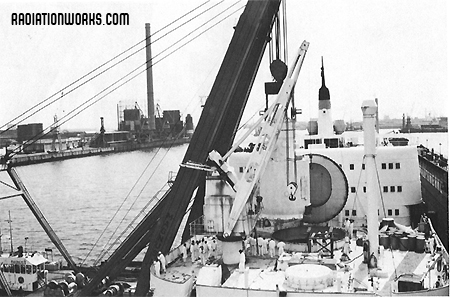 This photograph shows the reactor being removed from the NS Otto Hahn during its decommissioning. The NS Otto Hahn was retired after 9 years of service, refitted with a diesel power plant, and commissioned the MS Trophy. Although it was renamed numerous times, the former Otto Hahn was still sailing as late as 2007.